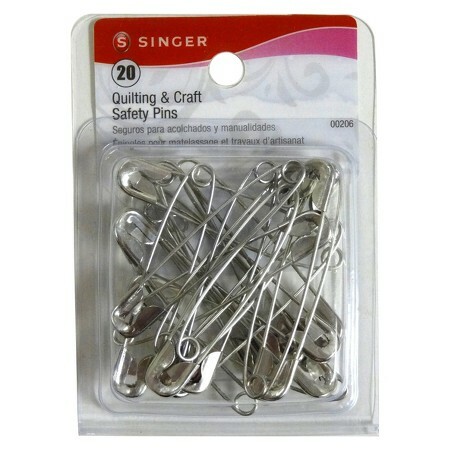 safety-pins Archives | Rich TAkes! Rich TAkes! 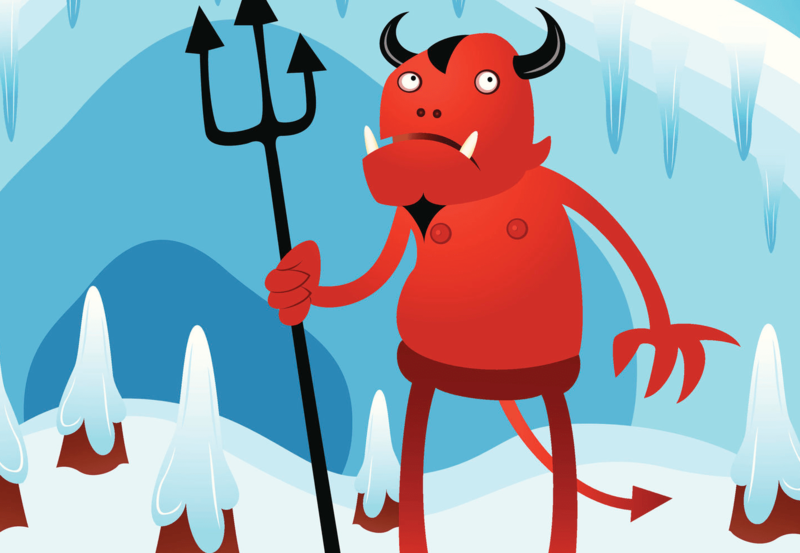 ON HELL FREEZES OVER! After 108 years the Chicago Cubs, the winningest team in baseball, finally won another World Series. Next, a mostly life-long Democrat, when he wasn’t Reform Party, or allegedly Republican, Donald Trump not only won the Republican nomination for President, he also soundly whipped Hillary Clinton this past Tuesday to become President-Elect. Surely Hell must have frozen over! Stranger things have happened, but not in my lifetime. If you have looked at this blog, you know that I have not been a Trump supporter, or a Clinton supporter, not by a long-shot, or even close to the broad side of a barn. Still, I wish him well, and pray that he is successful in steering the rudder of our USS United States Ship of State. Congratulations, Donald Trump, you pulled off the impossible. Here is a guy who has taken two sides to nearly every major issue, and several I couldn’t disagree with more. But I’m willing to give him a chance. Occupying the Oval Office tends to sober a person up real quick, and Trump doesn’t drink or smoke. He may have other vices, but hey, he’s 70 years old already! I wasn’t a never Trumper, but I was very close. I supported Ted Cruz, he has a resume a mile long, and he took a stand against Obamacare, even if it was a mostly symbolic exercise in the Senate. Cruz did not shut down the government, which only affected 15% or so of non-essential services anyway, Obama shut the government down by refusing to sign legislation that the House sent him for spending. Boehner and McConnell caved, when they could have made a difference if only they stood their ground. Cruz pointed out their Republican hypocrisy, and for thanks, the GOP establishment aimed their guns at him, as well as other fine conservative members of the House and Senate. While the TEA Party and classical liberal conservatives gave the Republicans the House and later the Senate, for thanks the GOP took aim at conservatives..
Now it is up to Trump to save the Republican Party. That thought is not only scary, it is also ironic. The Republican Party set the stage for someone like Trump to get the nomination by not pushing back in any significant way against Obama’s policies. The people have spoken loud and clear that we don’t like Obama’s policies and unconstitutional over-reaches ever since Obama took office in 2009 and then set to work jamming central government Obamacare down our throats. The mid-terms in 2010 and 2014 should be proof enough. And now in the 2016 General, Hillary lost by huge enough margins in states she was supposed to win. The election is over, and kudos are also in order to Hillary and Obama for her gracious concession and his walk around the White House to begin the transition. The truth is, the American people have repudiated Obama’s agenda since the 2010 mid-terms. Trump represents just the latest iteration of American’s disgust with the path we’ve been following since 2009. 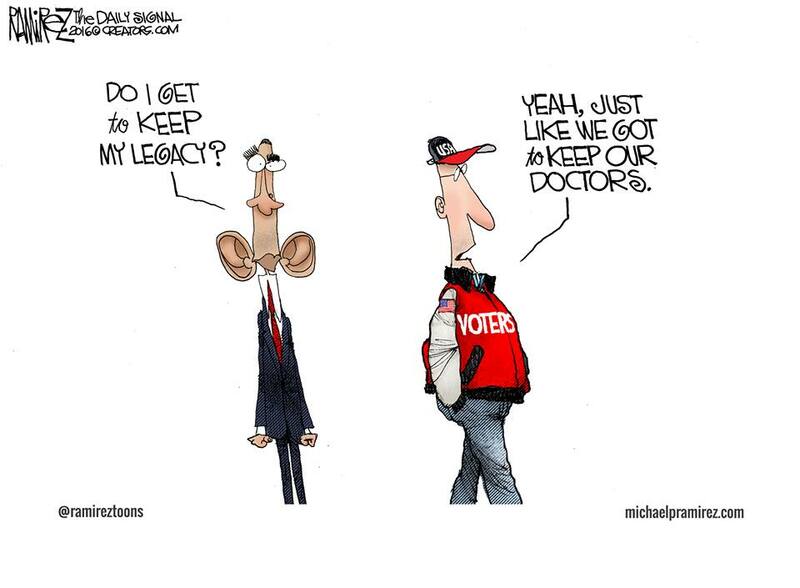 Trump seems to be serious about reversing nearly all of Obama’s legacy. I pray he does just that. These are also very helpful for keeping your diapers in place! Another FB post worth reading from Rowe. boo-hoo! Dear Huma, won’t you come out to play?